What Type of Clothing Do They Wear in Spain? What Types of Clothes Do They Wear in Sudan? 2 What Type of Clothing Do They Wear in Spain? 4 What Types of Clothes Do They Wear in Sudan? Fashion in Spain is an eclectic blend of traditional Spanish and contemporary Western style. Traditional Spanish attire was known its elegance and multicolored decoration. The fabrics were rich and embellished with metallic thread and jewels. Today's Spanish clothes are still colorful but with more of a Western flair for everyday wear. 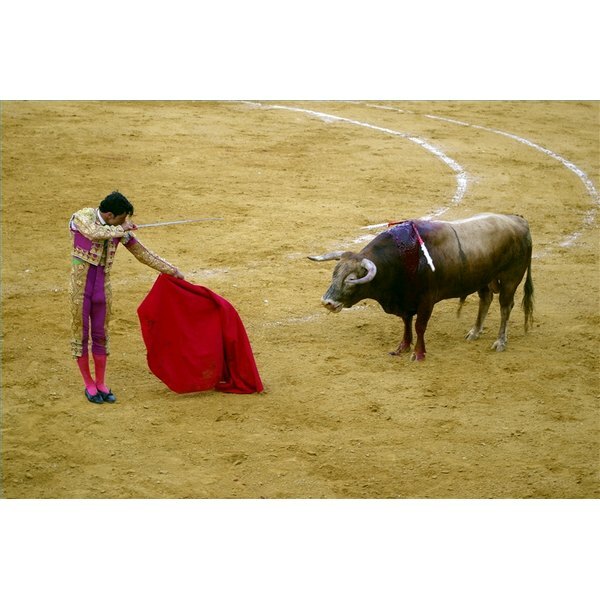 However, festivals, bullfights and ceremonies still call for traditional clothing. Most shoes in Spain are made of high-quality leather. Women wear sandals, flats, high heels and athletic shoes. Men typically wear dress shoes or athletic shoes. Boots are popular for men and women. Style-conscious Spanish people enjoy the same brands as Westerners. Brands such as Gucci, Dolce and Gabbana, Louis Vuitton and Armani are popular in high-end boutiques. Spanish attire traditionally includes capes, heavy fabrics, corsets and other more cumbersome clothes. The fact that they hold fast to tradition and their refusal to constantly change with the times has kept them from becoming a fashion mecca. For Flamenco dancing, women generally wear black or red-ruffled dresses and heels. Men wear matching tuxedo shirts and pants that allow freedom of movement. What Type of Clothing Do People in the Netherlands Wear? What Kinds of Clothes Do They Wear in Ireland?